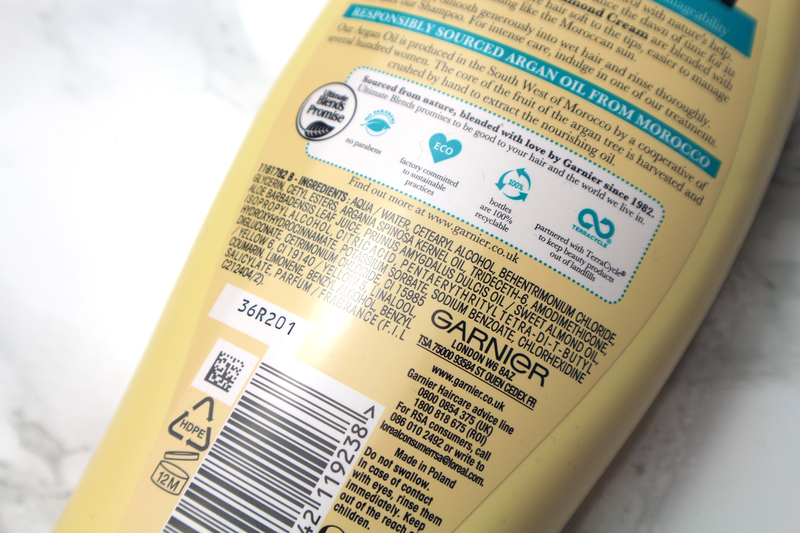 Infused with almond cream and Moroccan argan oil, Garnier Ultimate Blends The Enriching Nourisher Conditioner is formulated for “very dry, unruly hair”. 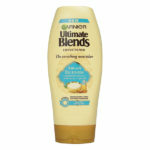 In the words of Garnier, it “intensely nourishes, softens and restores manageability”. 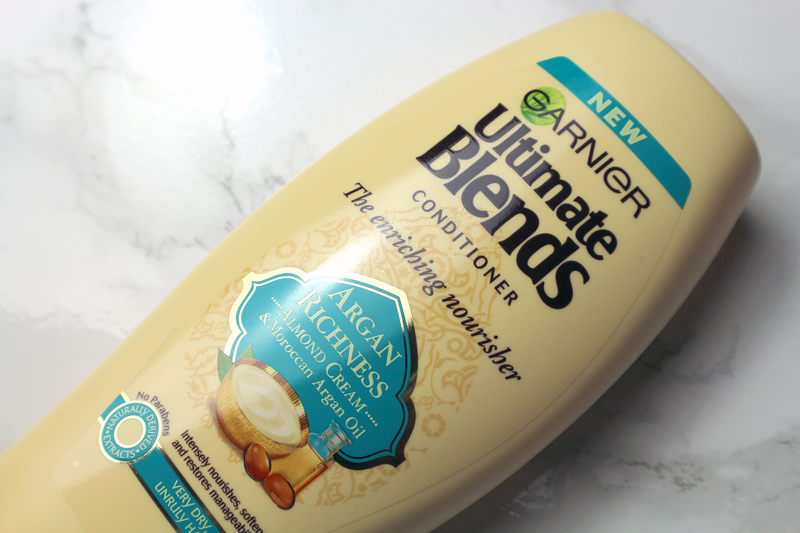 Purchased from Superdrug (£1.96 for 360ml), Garnier Ultimate Blends The Enriching Nourisher Conditioner is affordable as well as brilliant! It also smells amazing. The scent is pretty bold, slightly musky but ever so sweet. I also found it lingers. The consistency is as expected; it is velvety but light. 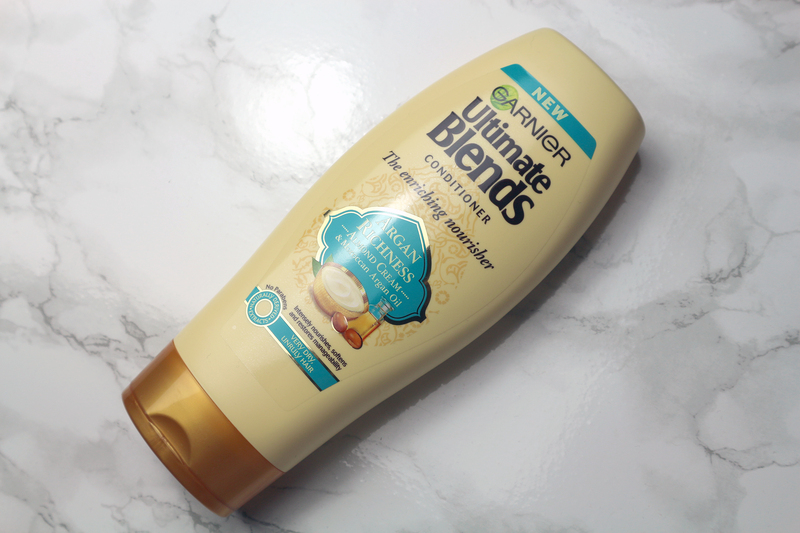 Great for detangling, Garnier Ultimate Blends The Enriching Nourisher Conditioner effortlessly melts into hair, moisturising as well as softening. The key to a defined Twist Out, it is also an excellent leave-in (such use is not approved or recommended by Garnier). 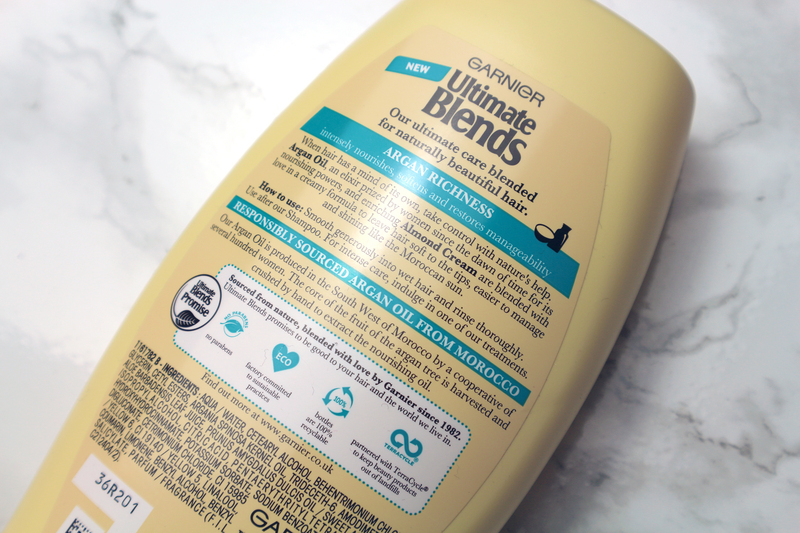 Unfortunately, Garnier Ultimate Blends The Enriching Nourisher Conditioner did nothing for my frizz or the lustre of my hair. I have used better but it is affordable (and rather good) so give it a try!